Shipping container modifications - let's build cool things! 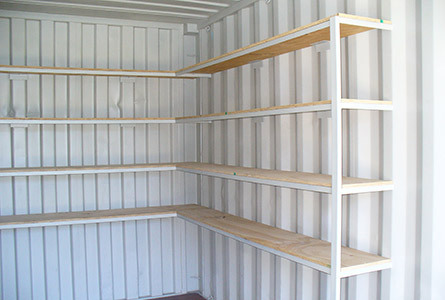 Our specialist container modification engineers can do amazing things with shipping containers! Watch as they convert two 40 foot high-cube containers into an awesome music studio and rehearsal space. This step by step video will give you a good idea of what's involved in a high quality container conversion. If you can dream it up - we can build it! 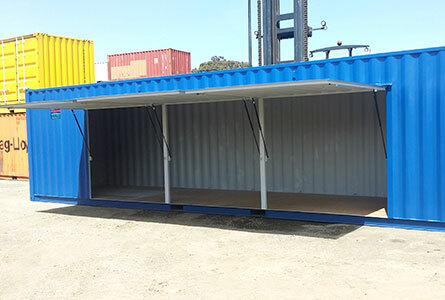 Container modification and customisation can be as simple as adding doors and windows, or as complex as building fully fitted out housing units, portable bars and medical clinics. If you can dream it up, and you've got the budget, our team of container engineers can turn your ideas into a reality. 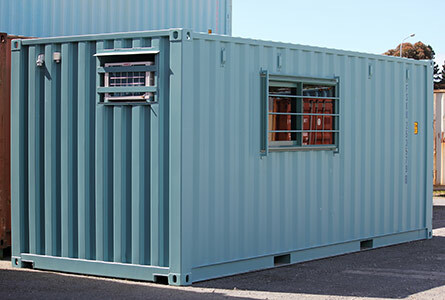 We're really proud of this area of our business and the projects we've completed, and we'd love to hear from you about your container modification project. Let's build cool things together! 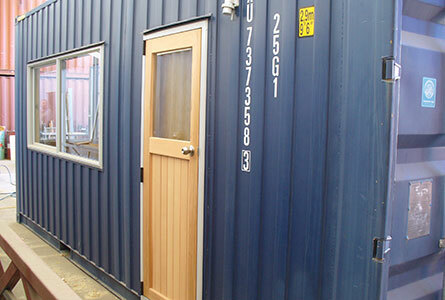 We fit all types of standard doors, ranch sliders or roller doors, all of which can be placed behind the original container doors for extra security. Full side opening doors can be built from scratch and fitted to the side of your container, giving you much easier access for un/loading. A recessed access door with weather seals or flashings can be added. This is a common feature of portable office and smoko room conversions. 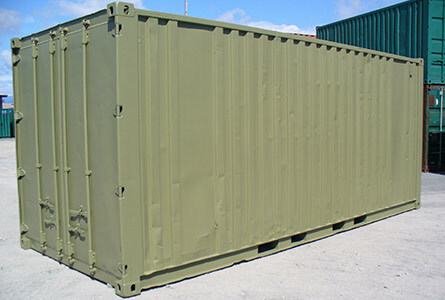 We can repair rust and holes and repaint your container as well as add company logos or advertising onto your container. Check out the paint colour options here. Boxman can add a lockbox and other security features to protect your container for minimal additional cost. To add natural light and views, windows are easy to fit into a container, and are surprisingly cost effective. 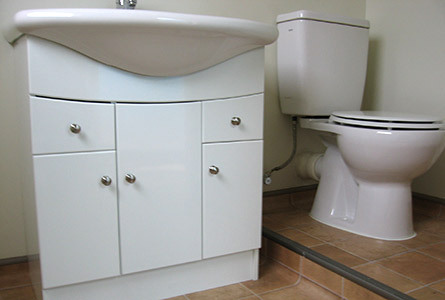 We can add plumbing to your modified container so you can fit anything from a sink to a full bathroom with a shower. We can also build portable toilet and shower blocks. We can build anything from a few shelves, to comprehensive storage solutions, cupboards, seating and mobile workshop facilities. Boxman modified and built this display container for The New Zealand Merino Company, with a drop down side and awning. Boxman did the steel work, fitted windows and doors, lined interior walls and built the innovative, fold up deck structure. Our part in this project involved the steel work and cutting very accurate holes for the windows and doors. The brief from the client was to provide a functional on-site toilet unit for their construction staff. The brief from the client was to provide two compact bathroom units for their workers on building sites. The brief from the client was to provide comfortable semi-permanent accommodation for their office staff located at their vineyards in Marlborough. Boxman created this compact postal facility, adding the post boxes and internal access, plus insulation, linings and electrical fittings. For information and ideas to promote your business, please see our branded containers page. 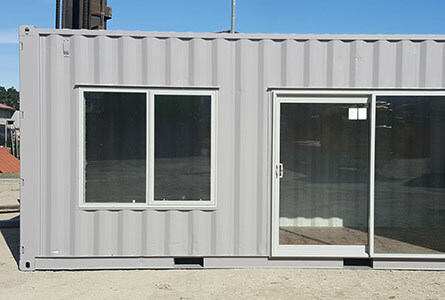 The options vary from simply fitting windows and doors into an unlined (non-insulated) steel container with no electrical work, all the way up to a fully lined, fully fitted out, air-conditioned office unit. Naturally, the cost also varies with the specification, and is likely to range from $5K for a very basic model to $20K and sometimes more for a full high-end office fit out. 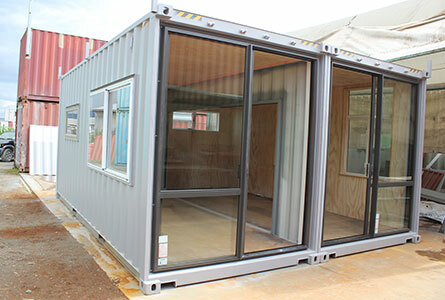 Please have a look at some shipping container offices we have built, and contact us for more details.